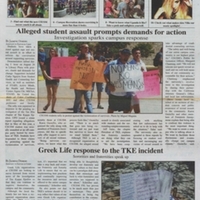 Volume 40, Number 2 of The Cougar Chronicle. 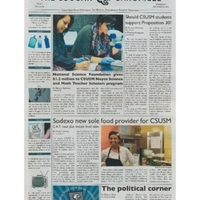 The issue includes stories of School of Education awarded funding, the 2012 national election, and new campus food management services. 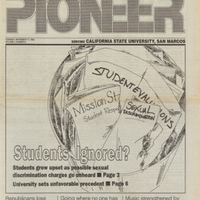 Volume 3, Number 6 of the first student newspaper on the CSUSM campus. 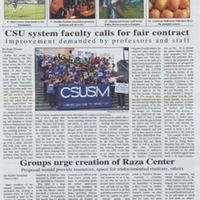 The cover story reports on campus discrimination charges, artists, and campus clubs. including the first sorority.